The Arizona [Phoenix] Republic ran an extensive story on the fate of the former Arizona Mining & Mineral Museum and the proposal to transfer it to AZGS. The one thing I added to the article by Mary Jo Pritzl was a comment that the situation was complicated by the fact that Senate Bill 1200 would have required us to re-open it at the Mining, Mineral, and Natural Resources Education Museum, a mission much broader and different from its former operations. While fans of the old museum anticipated being able to restore it quickly, we raised questions about meeting the expanded legislative mandate. The May episode of Arizona Mining Review was webcast on Wednesday, and posted to our YouTube channel after that. I interviewed Dr. Manuel Valenzuela, Superintendent of Sahuarita School District about their program to train high school students for the high paying jobs in the mining industry. Patrick Merrin, VP of Hudbay's Arizona Business Unit, provides updates on their Rosemont Copper project. We are pleased to add AMIGOS (Arizona Mining & Industry Get Our Support) as an underwriter for Arizona Mining Review. Their support is greatly appreciated in helping us produce AMR. Additional support is provided by Mining Foundation of the Southwest. The Association of Environmental and Engineering Geologists (AEG) has released their field trip guide from last September's annual meeting in Phoenix. 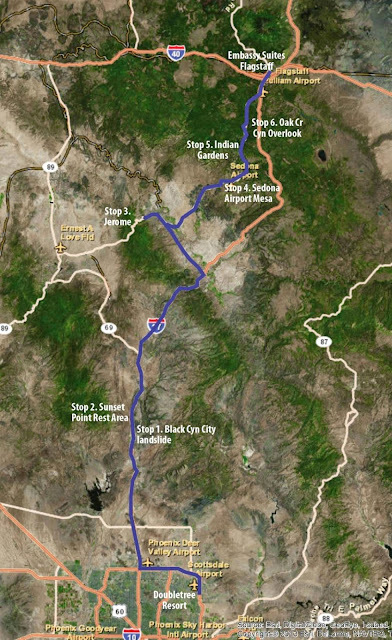 It covers a route Phoenix to Sedona to Flagstaff to Sunset Crater to Grand Canyon to Chino Valley. The 67-page guide offers a great introduction to those unfamiliar with the area, but a lot of new information for us "local's." The guidebook was authored by Phil Pearthree (Arizona Geological Survey) and Wayne Ranney (Geologist, Author, and Guide), and edited By: Chase White. The field trip was sponsored by Duane Kreuger. 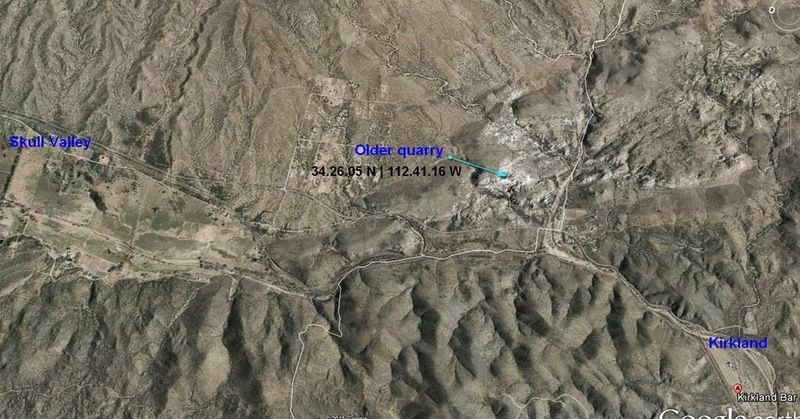 Coronado National Forest Acting Forest Supervisor Jamie Kingsbury issued a determination opn Friday that the Rosemont copper mine Supplemental Information Report "did not result in major changes to any of the impacts disclosed in the FEIS." 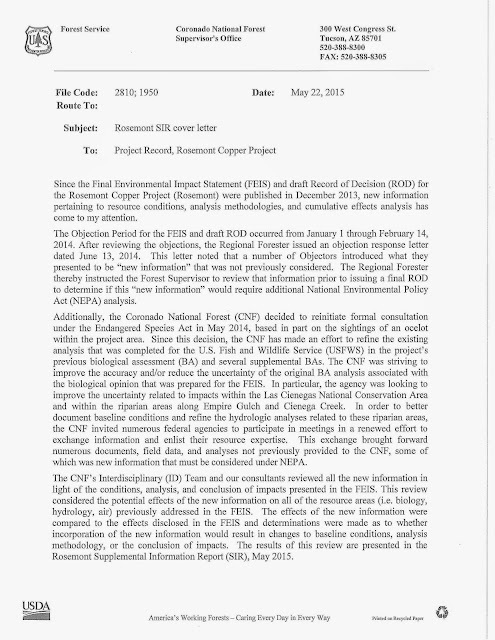 As a consequence,"no significant new circumstances or information relevant to environmental concerns and bearing on the proposed action or its impacts were found that would require a supplement of revision of the Rosemont FEIS." This is a significant step in the mine approval process. The area of interest is an L-shaped island of BLM public land on which a kitty litter mine operated in the 1970’s and 80’s. That operation closed in 1985. The BLM Resource Management Plan and Environmental Impact Statement published in the 2000’s identified this area as open for mineral development. Mr Hawes explained that scattered isolated land parcels, such as this one, are not as important to protect, unless there is special habitat or cultural resources. This L shaped parcel was determined to not be important to keep in the public trust; thus it could be sold, traded, exchanged, and opened to mining. The old kitty litter mine took coarse absorbent material; the leftovers are the same material, but much finer (“fines”). These “fines” exist in a large stockpile that looks like a sand dune. The Kirkland Mining Company has presented to the BLM an application and a Mining Plan of Operation to remove and sell the stockpile of “fines” for use in concrete. The application specifies between 42,000 and 48,000 tons of “fines” to be removed from a 2.6 acre area. The BLM has not yet completed analysis of the application. No decision has been made, and no timeframe started, though it was noted that the mining company expects to start in about 2 months. This operation is small enough (less than 5 acres) to be eligible for a NEPA (National Environmental Policy Act) “Categorical Exclusion” ; however, the BLM, and specifically Field Manager Rem Hawes, can choose to deny the Categorical Exclusion, and instead order an Environmental Analysis before approving the plan. The Environmental Analysis would be performed by a team of BLM experts in coordination with the Environmental Protection Agency (EPA) and include such considerations as air quality, water quantity and quality, soil, archeological resources, grazing, wildlife habitat, and community impact. The Kirkland Mining website is under construction. It is with great sadness that we learned of the recent death of well-known Arizona geologist, Willard Cox. A message from James Adu, Secretary of the Arizona Section of AIPG, noted that Will contributed greatly to that organization as well as the geologic community. He has been an AIPG member (CPG-00321) since1964 and participated in Section and National meetings on a regular basis. This photo was taken of Will, with his wife Nancy, at the 50th Anniversary AIPG National Meeting in Denver in 2013. He is survived by his wife, Nancy; son, Matthew; daughter, Anne; son-in-law, Richard; granddaughter, Caitlyn; as well as many other extended family and friends located not only in Arizona and Montana, but throughout the country. Geothermal fluids may be a key pathway for providing access to strategic minerals and rare earth elements, many of which are imported to accommodate a growing U.S. demand for these commodities for a range of applications. In fact, the USGS reports that the United States relies on other countries for more than half of the domestic consumption of 43 minerals and is fully 100% import-reliant for 19 of these. To explore the potential for a secure and affordable domestic supply, the Energy Department has announced a Request for Information (RFI) to bridge the gap between Research and Development (R&D) and commercial adoption of geothermal "mining" technologies. This RFI seeks input on developing pilot-scale extraction technologies at geothermal mineral recovery and power production sites in three specific areas. The first category will explore opportunities to conduct extensive engineering validation testing of technologies and processes that can efficiently and cost-effectively capture, concentrate, and/or purify high-value materials contained in geothermal fluids. This effort will focus on broadening the assessment of potential approaches that could be adapted from extractive industries in oil and gas, mining, and processes that utilize chemicals or resins to remove, purify, or process a material. Food processing, waste processing, and chemical preparations are examples of industries that could have applicable technologies transferrable to geothermal mineral extraction. The second category will study approaches that leverage existing methods and those being considered for commercial applications in the geothermal and mining industries. These could include combined drilling technologies, rock stimulation technologies such as those used in enhanced geothermal systems (EGS), and mineral extraction technologies as currently applied in solution mining. A third area of study will broaden understanding about the existence and concentration of the high-value materials in U.S. geothermal fluids or low-temperature process streams from other operations, such as oil and gas production. Information sought in this category could be site-specific or assess domestic mineral resources in geothermal and other produced fluids on a national scale. To see the full RFI, click here. This RFI is NOT a Funding Opportunity Announcement (FOA); therefore, EERE is not accepting applications at this time. 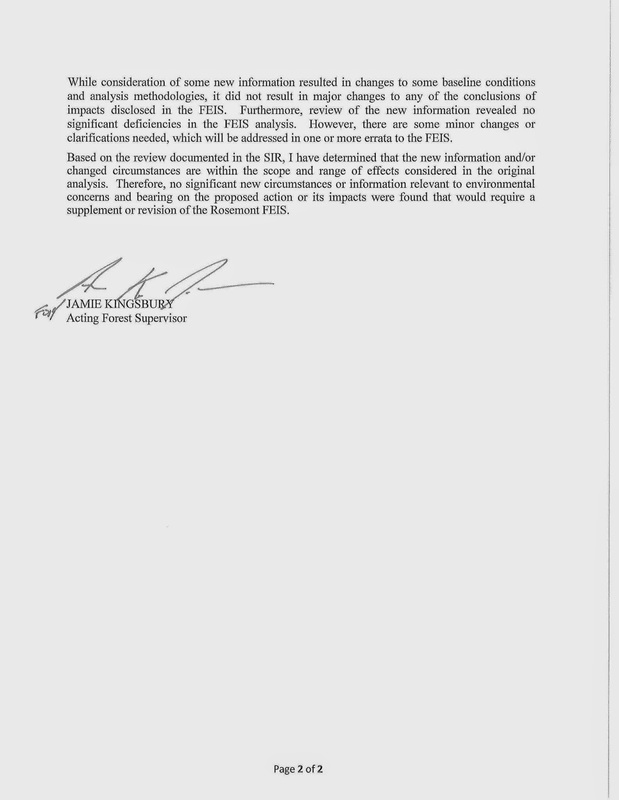 Responses to the RFI are due by June 8, 2015.